Michi-no-eki,where you can enjoy authentic coffee. You can also enjoy smoothies with vegetables and fruits. 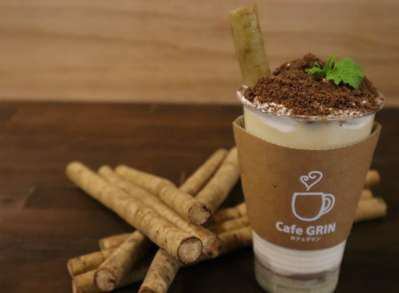 Recommendation is "Burdock tea latte premium"
limited to 10 cups a day. A straw is made of burdock. Opening hours are from 10 am to 4 pm. Monday is a regular holiday. Please go out by all means.